The deets: ASOS Maternity dress; Rebecca Minkoff bag (smaller version); Sam Edelman sandals; J.Crew earrings (sold out, found on eBay here, similar here). Last weekend was my VA baby shower that was thrown by my lovely besties that I truly don't deserve. It was fun and light and so good to see all my friends at once since that is a rare, RARE thing these days. 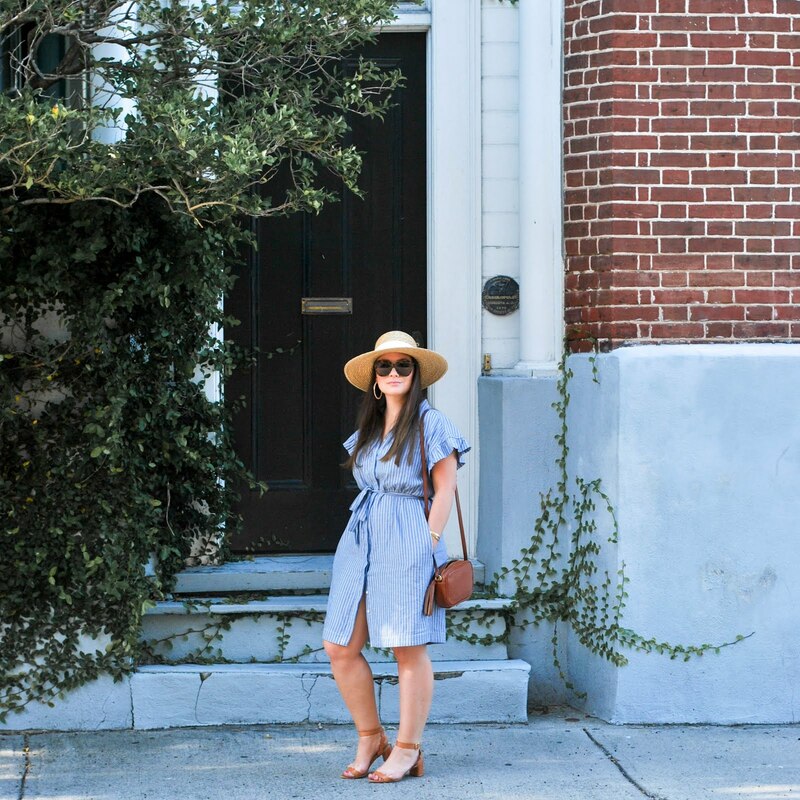 I had a seriously hard time finding a shower dress that checked all my boxes (comfortable in the heat, fancy enough, with elements of pink because I am an unabashed fan of theme dressing). I looked for what felt like months at every maternity and non maternity store for something that would work and then this one came up on ASOS about 2-3 weeks before my shower which I was hesitant about (not really a strapless girl) but decided to try out anyway. I am so glad I did because it worked! 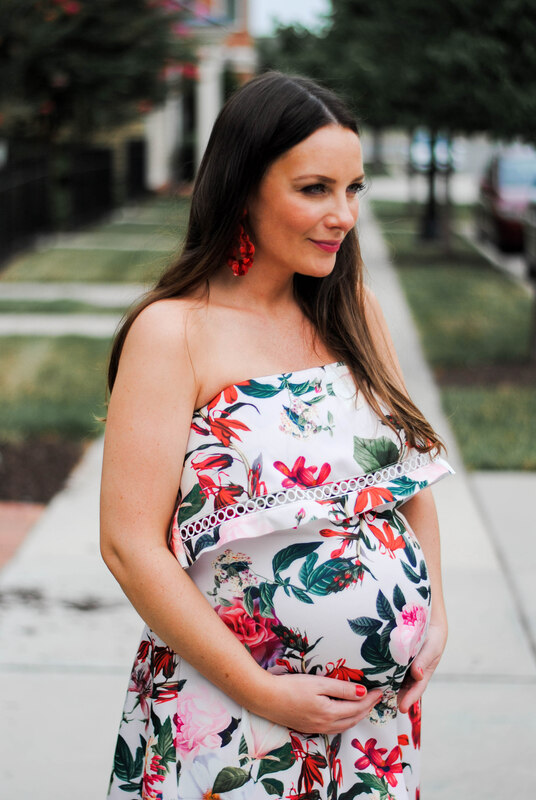 Paired with my favorite extra AF red floral sequin J.Crew earrings my husband said I look like some kind of Spanish dancer but I didn't even care because this 33 week bump was happy to have a flowery curtain over it for the day.